Can the Bruins Steal a Game in Detroit? The Boston Bruins have been one of the best teams in the NHL over the past five seasons, making two appearances in the Stanley Cup Finals with a win in 2011. However, the Bruins have not won a game in Detroit since 2007, during the Dave Lewis days, or the blue era. It’s really quite an anomaly. The Bruins have been one of the elite teams in the league, but simply can’t win at the Joe. What is it about the Joe Louis Arena that the Bruins can’t win? The Mike Babcock led teams? The luster of the Joe? Just a weird coincidence? Who knows, but they need to win at least one if they want to get into the next round. Simply put, the Bruins have not been very competitive at Joe Louis Arena. You’d think that this season would have been the Bruins best shot to end the drought at the Joe since the Wings are now in the East and have been erratic this season. However, in the two games in Detroit this season, the Bruins haven’t looked particularly great with the worst coming in November, a 6-1 loss. 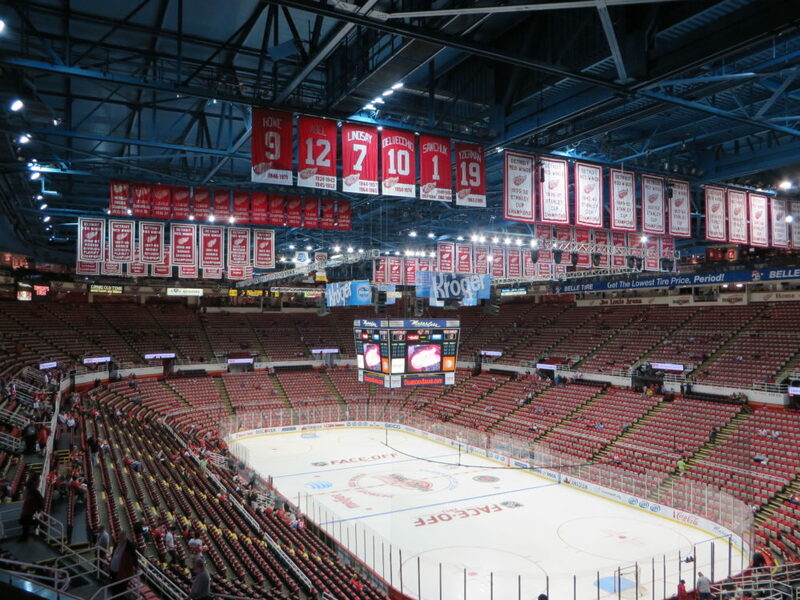 The Bruins looked great during Game 2 on Easter Sunday, but they were in front of their home crowd, but now they have to go to Detroit and face their loud, raucous fans and the legend of the octopus. Mike Babcock is perhaps one of the best coaches in the NHL when it comes to getting the most out of what he has and you better be sure that the Wings will be ready for Game 3. What does Boston have to do to finally win a game in Detroit? 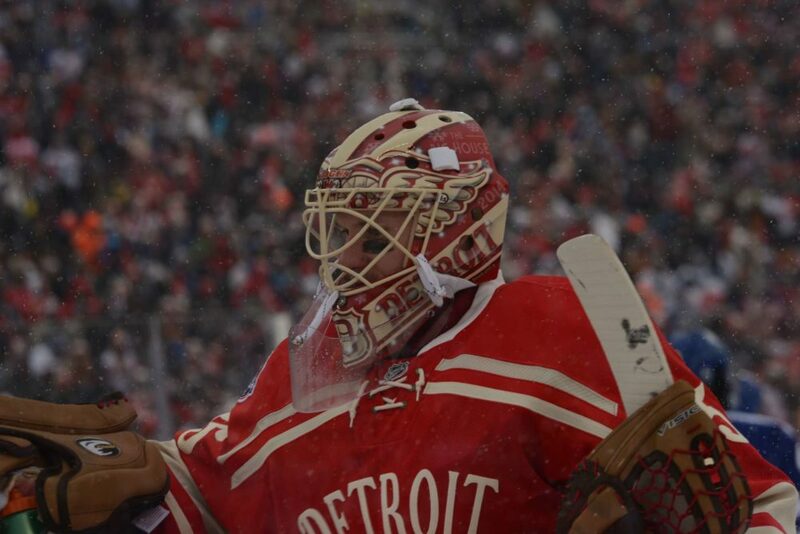 For one, the Bruins need to continue to pepper Jimmy Howard with shots. In Game 2, the Bruins shot 18 times in the first period alone, compared to 25 all game in Game 1’s 1-0 shutout. Howard has been a weird goaltender this season, he’s shown that he can be great at times, but he has been so erratic that you never know what Jimmy Howard will show up. The Bruins will need to continue to pressure him and get into his head. Howard made a horrendous mistake in Game 1 that really set the Bruins in motion and the Wings had to play catch up after that. Continue to capitalize on Howard’s mistakes and the Bruins will be all set. Howard doesn’t look all that confident on the ice this season, he’s bound to make a couple mistakes in Game 3. The difference between the Bruins physical play between the first two games are night and day. They came out like a team possessed in Game 2. Boston worked their way through the Red Wings to get the puck first and it really was a huge advantage for the Bruins. 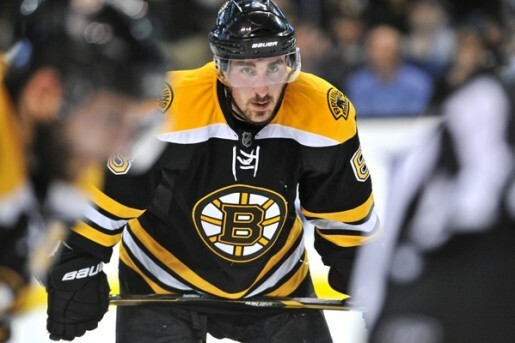 Brad Marchand and his aggressiveness finally showed up for Game 2. He was tough against the boards and made things tough for the Wings as they tried to gain possession. Detroit tried to counter the Bruins aggressiveness with Brendan Smith trying to pick a fight with Zdeno Chara as a way to ignite a fire under his team. Instead, Chara just laughed at him as he shoved Smith around and the linesman had to stop it before it started because Chara may have in fact murdered Smith right there on the ice. The Bruins know exactly what they are doing. They are one of the toughest teams in the league, but they need to do it every night if they want to hoist the Cup again. The Boston Bruins only had one power play opportunity on Friday as the Wings played a pretty smart game. Compare that to Sunday, where the Bruins had four opportunities on the power play and was able to capitalize twice. Reilly Smith netted one in the first period after a Danny DeKeyser slash and Zdeno Chara notched one in the third after a Kyle Quincey roughing minor. I know I’m stating the obvious, but the Bruins have to continue to take advantage of the gifts that Detroit gives them. Boston was third in the league in power play percentage at 21.7 percent and they need to continue to expose the thin and banged up Detroit defensive squad. The Bruins also need to continue to get into Detroit’s head and make them commit penalties. This Detroit squad has quite a few young bodies who have never had playoff experience before this year. Make them play like the rookies that they are and put the Bruins on the power play more often. Boston needs to continue to way they played as a team in Game 2 and put Game 1 in the past. If they do that, the slump in Motown will be over very, very soon.